Have you ever deleted a file and then wished you could get it back? Accidentally deleting files is actually a common thing that happens all the time even to those who are very careful. We’ve all been there, and the good news is that your file can be recovered in most cases. If we’re talking about hard drives, flash drives, or the storage memory of devices, it’s safe to say that recovering deleted files is possible. The same can’t be said when it comes to solid-state drives as they work in a different manner. The most recent solid-state drives fully erase the files so, in all likelihood, the data is lost forever. But there’s still hope for magnetic hard drives. There’s no absolute guarantee that you will find that important deleted file, but it’s worth trying. Chances to recover increase if the files have been deleted more recently. How come you can really get these deleted files back? That’s due to the fact that your files aren’t truly deleted. They are set aside to be overwritten by new data. Basically, what you’re actually attempting to do when we say ‘recovering deleted files’ is to discover those hidden files. Let’s see what are your options for recovering deleted files. Perhaps you’re not sure if the files you’re looking for are deleted so there’s a chance that you will find them lost somewhere in your computer. The solution for this is to do a quick search in File Explorer. Just go to ‘This PC’ in Windows 10 and search for the misplaced file there. 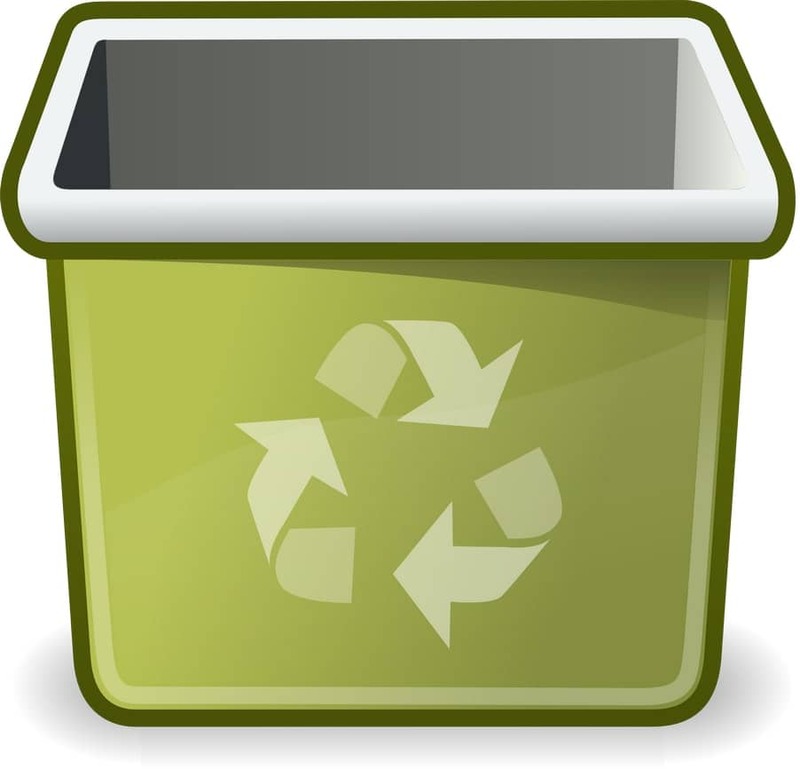 You’ve probably checked the Recycle Bin, but if there are lots of items there, it probably won’t hurt to try searching for the files in there too. Another handy tip is to sort the files by ‘Date Deleted’ which helps you spot the more recently deleted files. Looking for deleted files in Recycle Bin works even for cloud storage services in case you’ve accidentally deleted files in the cloud. The files are still recoverable by using the Dropbox or Google Drive Recycle Bin. Files deleted from media cards or external hard drives don’t end up in a Recycle Bin so this option is out of the question for recovering them. Very large computer files or those stored on a smartphone will also be completely deleted. If you’ve made a backup to prevent losing critical data, you could check to see if there’s a copy of the deleted file saved. It’s strongly recommended to create a backup plan if you don’t have any backups. Windows has some decent backup tools integrated for this reason. One great example is the File History tool which makes it easy to recover deleted files. It’s worth learning how to use it to avoid the problem of getting deleted files back. You will need to enable it by yourself as it’s disabled by default. So after trying everything in this step you’ve come to the conclusion that the file is completely gone. Well then, let’s see what you can do to recover it. It’s best to go ahead and recover it now. The longer you wait, the chances to get it back diminish. File recovery programs are available for free and allow you to recover deleted files, those that are gone from the Recycle Bin. Our favorite is Recuva because it’s simple to use and provides many handy features at no cost. Other options include Disk Drill and EaseUS Data Recovery Wizard. 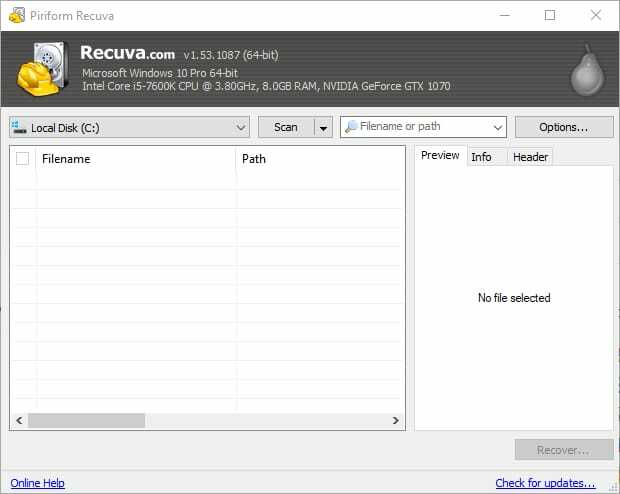 Recuva is a file-recovery tool made by the same developer which created the popular CCleaner program. Although there’s a risk of overwriting the deleted file when installing the tool, that depends on many factors so it’s still a pretty good chance to recover it using this utility. It’s essential to get the portable version of Recuva when you download it. Anyway, if it’s been a while since the file has been deleted, then we’ll take a look at another method detailed below at Step 4. For now, let’s see how you use Recuva. Assuming you’ve extracted the tool from the downloaded zip archive, open it and start scanning for files that can be brought back. It’s important to note that the scanning process works for any internal hard drives, but it can also handle external hard drive and flash drives. This means you can recover deleted files from SD cards or portable devices such as smartphones. The process can take some time, even several minutes if your drive is particularly large. The program will give you a list of files which can be recovered. After some time you should find it there. If you’ve looked carefully and yet that critical file is still not there, don’t give up because the file may not be lost forever. File-recovery software should usually work when it comes to recovering deleted files. Sometimes though, you can have bad luck. In this situation, your only hope is to go to a professional data recovery service. This is the last resort solution and you have to prepare yourself to spend some money as the service can be very expensive. If you’re considering such a service, turn off the computer immediately to prevent more data being written. Data recovery service are also not offering a 100% guarantee to recover your deleted files, but if that file is truly important, it would be worth it. There’s still a risk you’ll be charged even if in the end, your data wasn’t recovered. The safest method to recover a deleted file is to boot from a file-recovery USB drive or CD. It’s not for everyone so this is why we chose the Recuva method first. That should help most people who accidentally deleted files that are more or less important. The method described in this step is a bit more complex and only required if the file you’re trying to restore is absolutely critical and can’t be replaced. If you’re willing to go that far, let’s see what’s needed to be done. First things first, shut down the computer. You should be aware by now that it’s essential to avoid the possibility of that deleted file being overwritten on the hard drive. This can happen if you install software or write anything on the drive. Assuming the computer is powered off, the next step is to boot from a file-recovery USB drive. To do this, you will need the PhotoRec utility. Alternatively, what you can do is to take out that hard drive from the PC and add it to another computer to work as a secondary drive. It’s very important to avoid writing to that drive. Then just try using Recuva and scan that drive from the other computer. 7. What about recovering deleted files from network drives? File-recovery tools don’t work on network drives, but there are some workarounds to try if need to recover files accidentally deleted from a NAS. Your best bet would be to check for the operating system of the drive and see if the web-based interface used to manage it has any helpful tools in that regard. Other times, you could try to connect the hard drive from the NAS directly to the PC. After that, simply run data recovery software if it allows you. The way file-recovery software works is very simple. They can figure out the precise directions to find the missing files. By ‘missing’, we understand that your deleted file’s coordinates for its location have been eliminated from the index. Windows becomes unaware of the existence of that file as it virtually becomes invisible to it. The space that your data used to occupy is now considered ‘free’ and the hard drive will eventually write new information there. Less writing activity on the drive will translate to better chances for recovering deleted files. It’s possible, at least in theory, to delete a file and then not use that computer for one year, and then come back and restore it without too much effort. It’s not a simple thing to figure out the exact time frame available to still be able to recover a deleted file. It obviously depends on your hard drive use, whether you’ve been writing a lot of data on it or not. Other factors play a role too. For example, larger deleted files will probably have shorter time frames available for restoration. It’s not difficult to see why. Its parts are spread out covering more of the physical drive so there’s a bigger chance that any part of the file will be overwritten. There could be cases when you can only recover parts of the deleted files. This is because certain files can be heavily fragmented, meaning that divisible pieces don’t sit close to each other physically. Something that can happen is for a particular piece of that file to be overwritten by new data. If you’re unlucky enough to be able to recover just a part of the file, that usually isn’t of any use. An MP3 file with missing parts is worthless. Other file types could be more usable, but it also matters which pieces are more exactly missing. Did you find our article helpful? Then you might also be interested in our articles about How to Burn an ISO File to a USB Drive and How to Take a Screenshot on a PC.